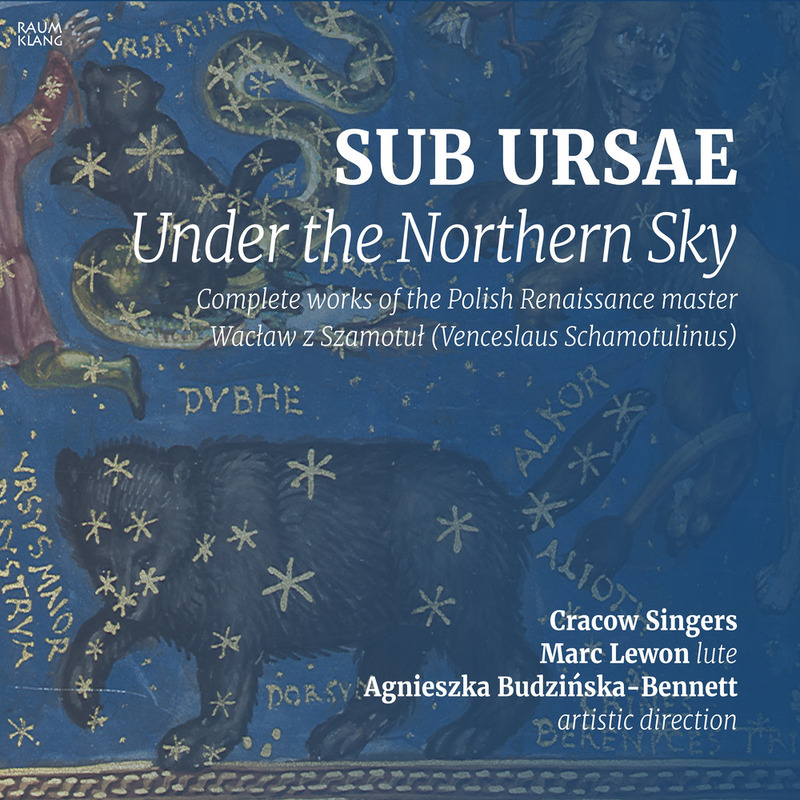 Sub Ursae can be translated as "under the northern sky". This expression comes from a popular sixteenth-century prayer for the Commonwealth and the king, with a melody by Wacław of Szamotuły (ca. 1520/25–ca. 1560), the most known Polish Renaissance composer and the birst to be published abroad alongside works by the most acclaimed contemporary European composers. The anthem, calling upon Christ to protect the subjects of Sigismund Augustus, could have been sung in times of war and peace by both Catholics and Protestants, by Poles and Lithuanians, joined in the common praise of the splendour of the happy and prosperous land under the sky of the Great Bear (Ursa Major). The Cracow Singers directed by Basle specialist Agnieszka Budzińska-Bennett and accompanied by Marc Lewon (lute), present the birst ever complete songs of the Renaissance master: Latin motets, Polish monophonic and polyphonic hymns as well as the premiere reconstruction of recently discovered fragments Wacław's Lamentationes, long thought to be lost.